To see how much you can save on our vacation rentals and cabins, simply check our availability or call our office to see about our special offers on properties near Dollywood Park! 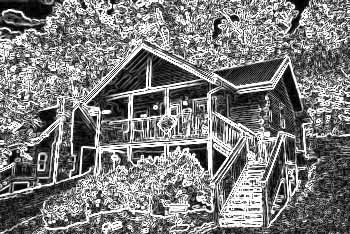 Find a terrific cabin rental near Dollywood in Pigeon Forge, TN for your Smoky Mountain vacation! This award winning 125 acre theme park owned by country music star Dolly Parton delights families every year. Even if you don't plan on experiencing thrilling coasters like the Wild Eagle, Thunderhead, or the Tennessee Tornado you're sure to love this park's family friendly atmosphere, talented musicians, entertaining shows, authentic mountain crafts, a steam train ride and delicious food. Dollywood's annual festivals like the Smoky Mountain Christmas event, Festival of Nations, and Barbecue & Bluegrass allow guests to see a different side of the park for the price of a regular ticket! Stop by the Chasing Rainbows Museum that shares Dolly's story of growing up in the Smoky Mountains. Herschend Family Entertainment Corporation and Dolly also own Dixie Stampede and Dolly Parton's Smoky Mountain Adventure Dinner Show. For summer fun, check out Dollywood Splash Country, a nearby waterpark with dozens of slides and water rides. Enjoy our cabins for rent near Dollywood in Pigeon Forge cabins and cabins in Sevierville so you can stay close to this top-rated attraction the Smokies that draws 2.5 million visitors annually! Book today and save 15% with Cabins USA's online discount!